I was thinking of the crazy Russians guys that you see taking selfies on top of cranes. Could we do something in that style that made the viewer's mouth drop? And more importantly, do it safely? 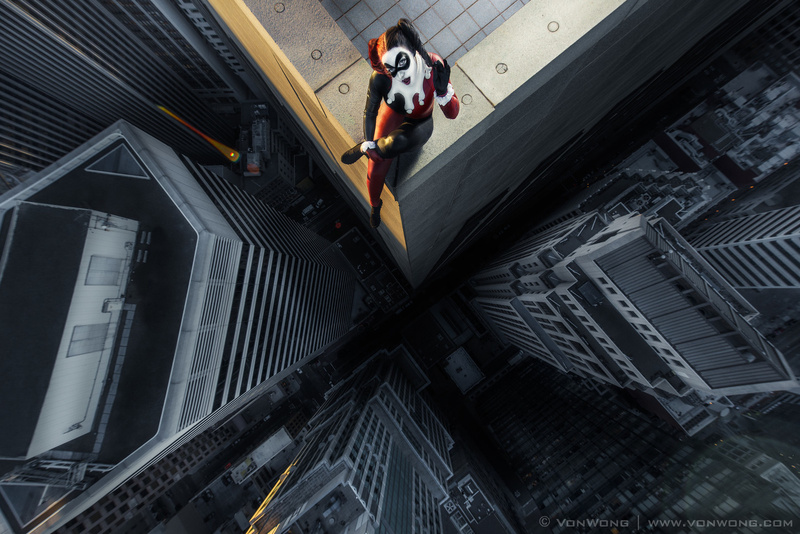 Would the adrenaline rush be so insane that nobody could actually bring themselves to stand high on a skyscraper's ledge to model? 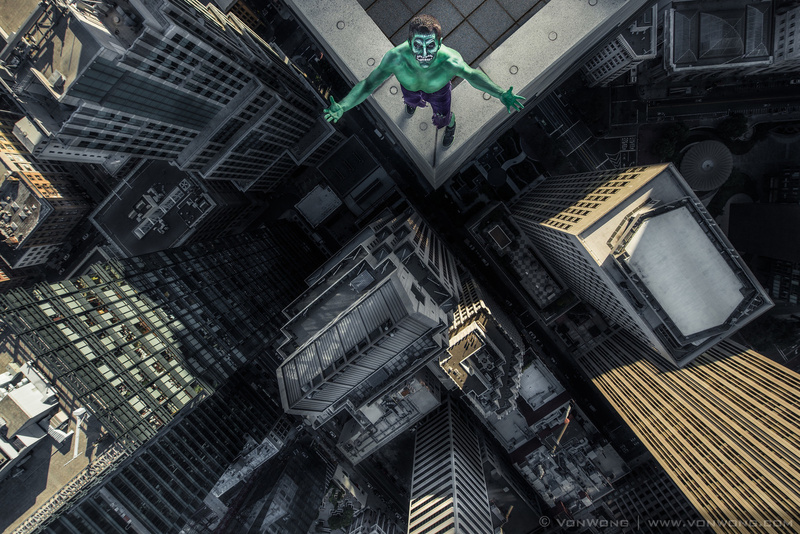 Apparently, the superhero models were able to bring themselves to get out on the ledge of one of San Francisco's tallest building. 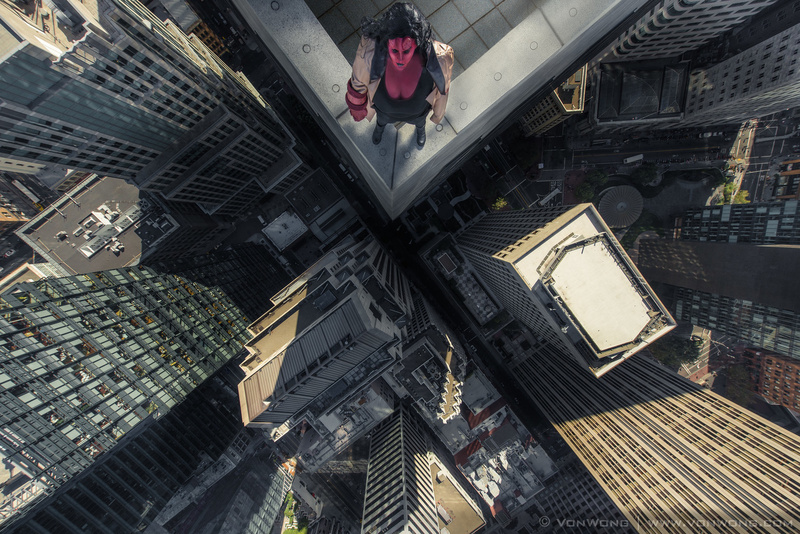 How did Von Wong conclude leaning his subjects off a skyscraper would be his next awe-inspiring photo series? I love creating images that have a strong visual impact. Photos that make people do a double take, and wonder if the scenes are real or fake. This seemed like the ultimate test. I wanted people to be able to really challenge themselves, and prove that everyone is capable of pushing themselves past the limits, if they only give it a shot. I was lucky enough to be a SmugMug employee when this crazy idea was hatched in a conference call, so I insisted on joining in on the fun. When Von Wong arrived in our Mountain View offices weeks later, he brought with him an excitement that I hadn't seen before. He knew this shoot was going to push everyone's comfort levels and really help them discover their inner superhero. The idea of helping these everyday tech employees not only get over their fears, but also discover their inner potential fueled the fire in Von Wong. He would stay up late into the night, using his mining engineering background to draw up sketches of how he could make this seemingly impossible idea a reality. To get the vertigo-inducing angle we were looking for, we rigged a heavy-duty triple riser steel boom stand with a Nikon D800E equipped with a Nikkor 14-24mm and controlled the camera wirelessly from the laptop using a nifty little device called the CamRanger. The set up was elaborate, the body paint dry, and the superhero costumes on. What happened next is something that words simply cannot express. Luckily, MacAskill and Von Wong had the foresight to capture all of the action on camcorders. SmugMug's in-house filmmaker, Anton Lorimer is no stranger to being asked to deliver epic films for SmugMug. From his work documenting surf photography in the Arctic to showing us what it is like to be a astronaut photographer, Lorimer has made a name for himself by being able to showcase the raw emotion and power behind his interesting subjects. 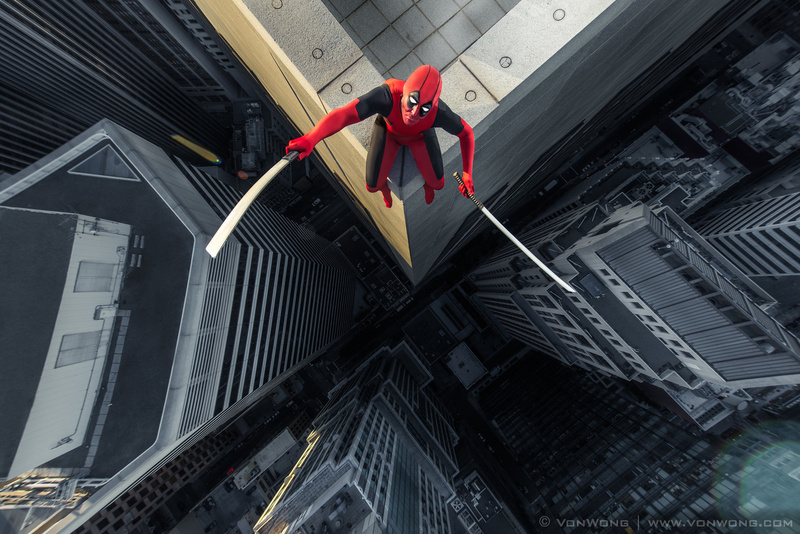 The behind-the-scenes film that he created telling the story of "Superheroes on Skyscrapers" is an incredible, heart pounding look into what it feels like to be standing on the edge of death, all while a slightly crazy photographer barks orders like "Lean back! More, More More!" Luckily, Von Wong soothes his model's fear with the confident phrase, "There will be no dying today!" Somehow, his superheroes actually believe him. I asked Von Wong why he seems to thrive off making the team at SmugMug live out their dreams. It is quite rare to find a group of individuals who are ready to literally trust you with their lives. I've said it before and I'll say it again: When like minded and passionate people work together, anything is possible. Trust him with their lives, the SmugMug employees did. But with the stakes so high, did Von Wong ever have any fears that something could go wrong? I definitely think this is in my top three most dangerous photo shoot of all time. I mean, I light people on fire and chain them underwater to shipwrecks, but dangling people off the ledge of a 40 story rooftop is right up there. But we did have proper safety equipment and professionals. Everyone was well trained on how to use the equipment and what to do if something went wrong. With me, the safety always takes a front seat, so the danger is a lot less because we have taken the time to set the shoot up right. That said, it was still a little nerve racking. At the end of the day, the success of this photo shoot depended on the safety, and we were entirely 100% focused on the safety. You can never be careless. Safety is always the number one priority. 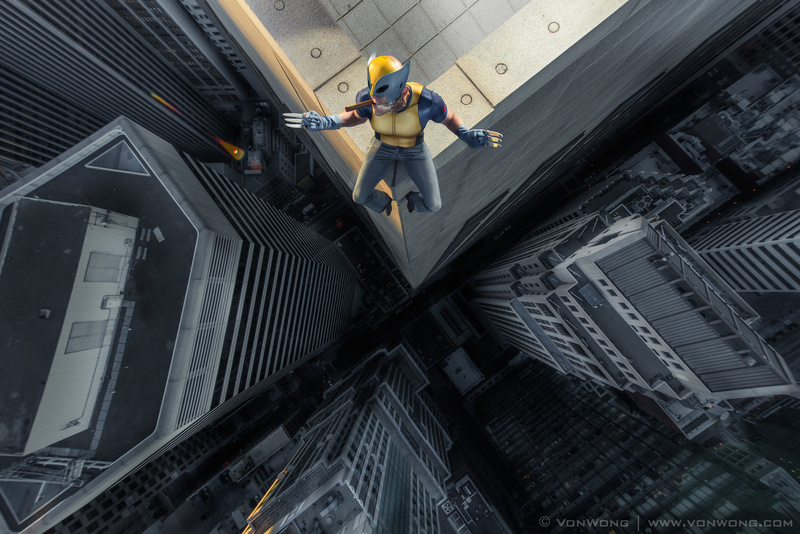 Von Wong has raised the bar on his already mind boggling photo series. So how can he possibly top this? There is always something more exciting to be conquered. The problem is finding the people that will support and encourage it. Right now, I have my eyes on zero gravity...maybe dangling some people off of a crane...and maybe something dangerous and epic with a hot air balloon. So if you are someone that can help me make this happen, please contact me at www.vonwong.com! I was lucky enough to be tapped by MacAskill to help film the action of this day. 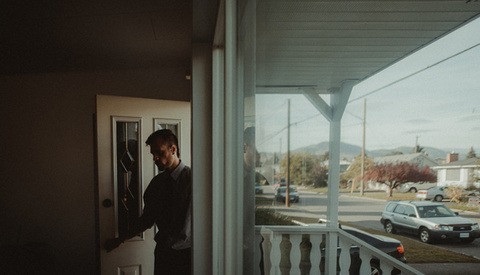 At the time, I had known I was a part of something special, but in the frantic pace of the shoot, I don't think I really understood what I was witnessing. After seeing the behind-the-scenes film and eye-popping final photos, I am completely amazed that Von Wong was able to pull this off. But then again, I have never seen Von Wong not pull off something when he puts his insanely creative and brilliant mind to work. AMAZING! that had my stomach in my throat just watching. Christian, I still can't believe I was lucky enough to be a part of it. Reliving the experience today has been fun. I wish we could do it again! cool concept, the heros realy look like digital paintings dont you think? I LOVE the concept! But really I'm not a personal fan of the final image. The heroes all look really airblrushed/painted. A little too much for my tastes. Still looks like an amazing shoot to be a part of! Always love seeing Wong push creative! in an attempt to smooth out transitions between face paint and home made costumes they did come out a little more digitally smoother than real life. I'd love to do this one again with a bit more time... and a crane! Thanks for the reply! That totally makes sense! Best of luck on your future shoots man! Another great read, and what an amazing project! Amazing ... much kudos to Ben ... I'd be frozen at the entrance door to the roof, let alone on the edge. Von Wong, I want to see you dangling off a hot air balloon while fighting off dragons, and holding your camera out while getting these shots! Really love the idea and the execution. Really wish this could have been done with some actual* cosplayers, though I totally get why you chose to do it the way to did and it was an awesome opportunity for all of the subjects. *I say actual with the assumption that the people in the shoot are normally cosplays....if I am wrong here, someone tell me to stfu. I just think it would be extra cool to see people up there at put so much passion and craft in to their hobby already to have it captured in such an epic way. As always THE BEST, just wondering who's dislike and why?? ?